Daily Burn has a lot of really fun programs. One in particular I’ve enjoyed is the six week Daily Burn Spartan program. I’ve competed in a few 5K races and a half marathon, but I recently signed up for my first Spartan Race. This series has not only given me a great workout, but also got me excited about my first Spartan Race. What I like about Daily Burn is that you don’t have to stick to one program. If you get bored, or want to change up your routine, you have the freedom to change programs. Aside from Spartan Race (which don’t require obstacles at home! ), there is a great variety of programs for athletes to beginners. There are dance workouts, pilates, and even a yoga for expecting mothers. When you first sign up, you fill out a quick questionnaire which points you toward one of the Daily Burn programs. You can choose to begin that routine, or choose one of your own. The questionnaire assesses your fitness level and finds a trainer that will fit the style of workout you’d like and aligns with the goals you want to accomplish (weight loss, muscle building, etc.). 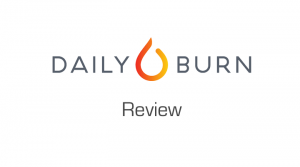 The Daily Burn cost is $14.95 per month, but you can get a free 30 day trial when you sign up. You have access to over 20 programs and 600 total videos. Videos range from 15 minutes on the short end to nearly an hour for the longest videos. 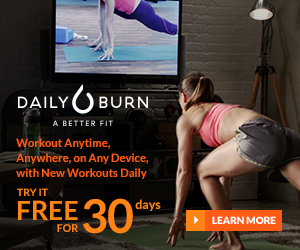 One of the best thing about Daily Burn is that you aren’t locked into any one program. If you don’t like it or want to change it up, you can do so at any time. The trainers are great too, with some more famous that others Bob Harper has a great series called “Black Fire.” I did a few videos and can confirm they work! There is also a program called Live to Fail which is put on by a guy named Ben Booker. Fun Fact: Ben Booker is a motivational speaker and I saw him a few years ago in Chicago before I even knew he did workout videos. Aside from the great trainers and programs, the cost is very reasonable given all of the videos you have access to, and there are lots of nutritional information and recipes on the Daily Burn site that you can access for meal planning to go along with your workouts. For me personally, I haven’t noticed many drawbacks. One thing I referenced in the comparison article to Beachbody is that some people have complained about the payments when they cancel their subscription. I haven’t canceled my membership yet, but it is something I will pay attention to if I choose to stop the service. One other drawback is that there are a lot of videos that require equipment, which is great if you have it in your home, but some people might not be able to take full advantage of all the videos Daily Burn has to offer. 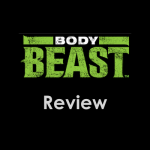 This has been a great addition to some of the Beachbody programs I’ve done in the past. My favorite workouts are still P90X3 and Core de Force, and I feel like I get in better shape when I stick to a program and not bounce around from one video to another like I’ve done with many of the Daily Burn workouts. Still, Daily Burn offers something different and the Spartan Race workouts have gotten me really excited about my upcoming race. I would highly recommend giving the 30 day trial period a go, and I would urge anyone to stick with it if they enjoy the workouts and get a great burn!